Understand the risks to heritage in the Balkans and formulate strategies to address those risks. Coordinate with and among national disaster response institutions and cultural institutions on effective strategies for cultural emergency response. Train and deploy a network of volunteers that can conduct ‘first aid’ for cultural heritage across the Balkans. The catalyst for putting this project into action came through the inspiring courses of ICCROM. Staff of CHwB-Albania attended ICCROM’s course on “Disaster Risk Management of Cultural Heritage” at Ritsumeikan University, Japan in September 2014. And staff of both CHwB-Albania and UDC completed the ICCROM course “First Aid to Cultural Heritage in Times of Crisis” in Amsterdam in April 2015. These experiences and the support of the Prince Claus Fund (whose mantra is ‘culture is a basic need’) allowed CHwB-Albania and UDC Belgrade to partner up and launch the B+CARE project. B+CARE now exists as a regional platform for training, awareness raising and response for cultural heritage threatened by disaster. With the first volunteer training on first aid to cultural heritage completed in March 2016, the wider B+CARE program is in its early stages. But already, there is a dedicated team of people at both UDC Belgrade and CHwB-Albania, along with the first group of B+CARE volunteers, who are pushing it forward. 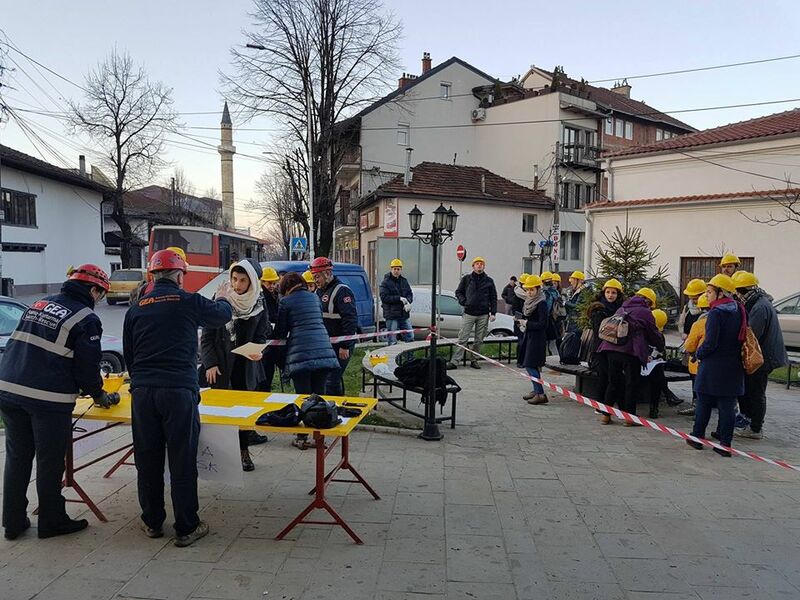 From 7-27 November 2016, the three Cultural Heritage without Borders organizations in the Western Balkans (CHwB-Albania, CHwB-BiH, CHwB-Kosovo) teamed up to organize a three-week Course on Disaster Risk Management for Cultural Heritage. This was the second training held within the B+CARE framework, and it took place in three historic cities across the Western Balkans: Sarajevo, BiH (week 1), Prishtina, Kosovo (week 2) and Gjirokastra, Albania (week 3). This training course was designed to take participants through the disaster risk management (DRM) cycle: from risk assessment to prevention and mitigation to emergency preparedness and response to post-disaster damage assessment and ‘cultural first aid’ treatment. In each location, participants applied these principles and approaches to a different type of heritage resource: museum collections in Sarajevo; historical urban landscapes in Prishtina; and intangible heritage in Gjirokastra. In total, there were 26 participants trained from 11 countries across the Balkans and elsewhere in Eastern Europe and North Africa. They were joined by 6 volunteers from the B+CARE network (see link below) and 28 trainers and lecturers from 9 different countries. 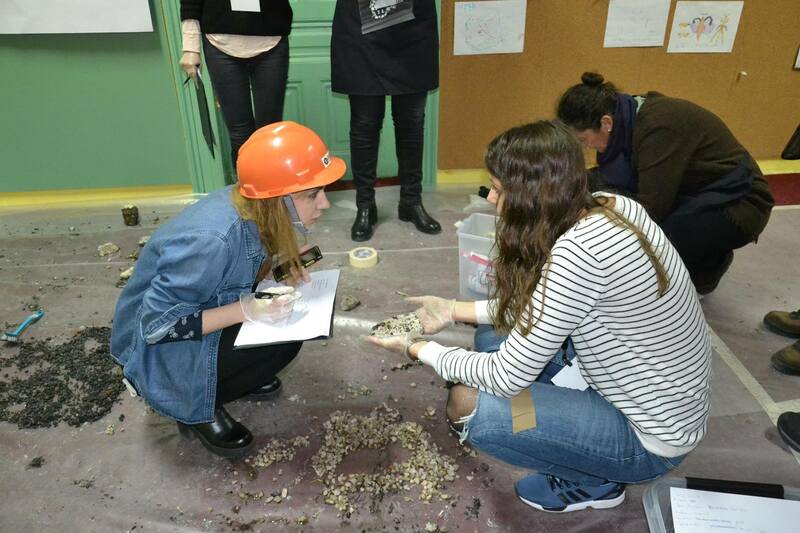 Funding for this training was provided by the Prince Claus Fund and the government of Sweden. Alongside the network of dedicated individuals, the B+CARE program foresees interventions that reduce the risks that monuments face. One of the first to be undertaken involves reducing the risk of fire in the historic centers of Gjirokastra and Berat, Albania.Given the steep, narrow streets and close proximity of the houses, the historic centers of Berat and Gjirokastra are especially vulnerable to fire. But within their walls, they also hold the key to fighting fire. Many of the historic homes in both of these cities have large cisterns on their ground floors, which gather rainwater that falls on their roofs. CHwB-Albania’s pilot project is converting one cistern in each city for use in fighting fires. In order to do so, the gutter systems of the houses are restored, and the cisterns are cleaned and resealed, then connected to a pumping system. This system has two outlets: one that connects to a hose and nozzle (for directing water directly onto the historical house and its neighbors) and another connection for a hose that can fill the water tank of a fire truck. Since electricity should always be cut in the case of fire, the pumps are connected to an on-site generator. CHwB has worked with local firefighters and residents to ensure the best results for this firefighting system. 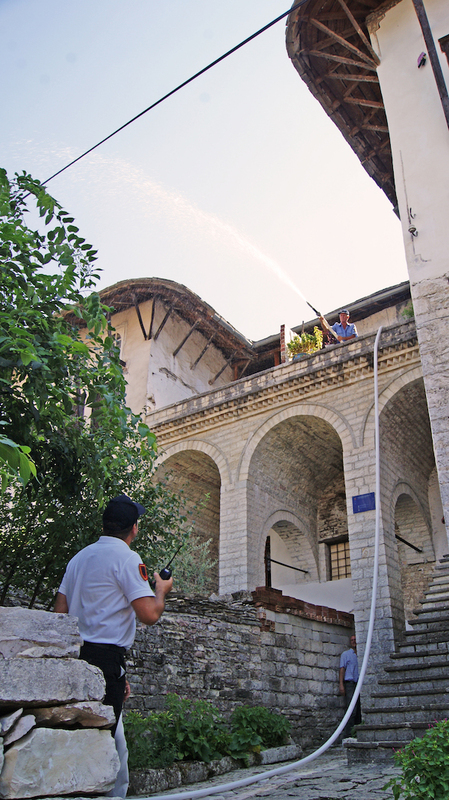 This successful pilot intervention demonstrates that cisterns can be used for fire protection in many more houses throughout the historical centers of Berat and Gjirokastra, eventually covering the entire city.